This person has been seen on CCTV leaving a motox cloths store without paying for goods. This man should not be approuched in anyway. 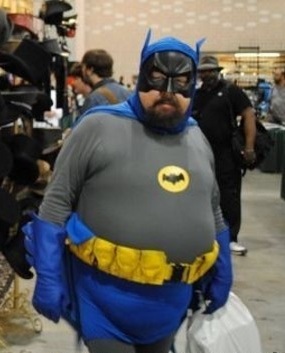 You should report his whereabouts to the local mental hospital quoting ref: "fatbatmore". Together we can stop crime and keep the mentally insane off the track. I think I can help the authorities on this one. This chap crept in my camper in North Devon, ate all the burgers, and slipped away in the night in what he called the Bat-transit. He left behind an aroma of warm cookie dough mixed with 2 stroke oil. He also told me that his face is not covered in whiskers but that he has a Nikki Beard, whatever he meant by that. He did leave a significant deposit in my bunk bed which I will supply to the police for DNA analysis. If you have any information please leave it here and let's hope for an early conviction. I have seen this man too. The other week he was rideing a bike and didn't have a single problem, he must have stole it from someone.